Is it you? Are you one of the 5 types of bowhunters that should be shooting a crossbow? Like it or not, the crossbow industry is booming these days. And for every bowhunter that seems to dive right into the crossbow craze, there are countless others that stand their ground, opposed to picking up such a simple solution for killing more critters during archery season. There are ample reasons for why bowhunters make the switch to shooting a crossbow. And I’m sure there are plenty of reasons why crossbow opponents like to scrap it out over the ethics and legalities of crossbow hunting in archery season. But if you’re somewhere in the middle, trying to find your place in the bowhunting world, we offer a simple solution. We’ve cut right to the chase and made things much easier for you as you attempt to discover what weapon you should be bowhunting with this fall. Here’s a look at 5 types of bowhunters that should be shooting a crossbow. Are all the cool kids shooting crossbows these days? Should you? If you’re the hunter that tends to shun the off-season practice regimen with your bow, you might be perfectly suited for bowhunting with a crossbow. If you’d rather shoot selfies for social media than arrows in the backyard as the season approaches, the crossbow just might be your boo. That’s not to say you don’t need to practice when hunting with a crossbow. You should. But the practice required for shooting a bow vs. a crossbow is completely different. What’s the difference? Pretty much everything. Muscles must be exercised, strengthened, and kept in check when shooting a bow. This is hardly the case when shooting a crossbow. The crossbow is a great alternative for the shooter that just doesn’t have the time to practice like they would (should) with a bow. Crossbow practice can be a fun and laid back experience. So maybe you practice like crazy, and you still can’t seem to hit the broadside of a barn when the shot opportunity arises. The crossbow might be the perfect solution to ending your frustration and misery. Hey, there’s no shame in it! Maybe you’re struggling with target panic, and you need a break. Don’t throw in the towel. Try crossbow hunting to keep you in the game. If you’re looking to punch tags, but can’t seem to make it happen with a bow, consider killing a few critters with a crossbow. Get the monkey off your back. You can always circle back to hunting with a regular bow. Do what you need to do to build confidence – and put meat in the freezer. Can’t seem to hit the target with your bow? Why not try hunting with a crossbow? Regardless of whether you’re young or old, physical limitations can strike at any time. Think about your friends that suffer with poor eye sight, back or shoulder problems, as well as more serious threats such as cancer or other diseases. Bottom line – the crossbow is a great solution to keep you in the game as you struggle with physical limitations or simply get too old to draw a bow. It’s exciting to see some of the older guys and granddaddies that are getting back to bowhunting because of what the crossbow allows them to do. Shame on anyone that would attempt to take hunting opportunities away from another hunter that’s struggling with physical issues, regardless of the weapon. BHOD prostaffer, Dustin Decroo, started hunting with a crossbow following surgery for his shoulder. The surgery would have sidelined a lot of hunters, but it hasn’t slowed Dustin down one bit. We firmly believe you should shoot whatever makes you happy. Trad bow, compound, or crossbow – shoot what you want. If you’re the guy that doesn’t give a rip about what others think – you simply want to kill stuff with the most efficient tool you can – then you might be the perfect crossbow hunter. Sure, the haters will say, “It’s not really bowhunting,” or “You’re doing it the easy way.” But you don’t really care. It’s your hunt. You hunt for yourself, not to impress or be accepted by others. 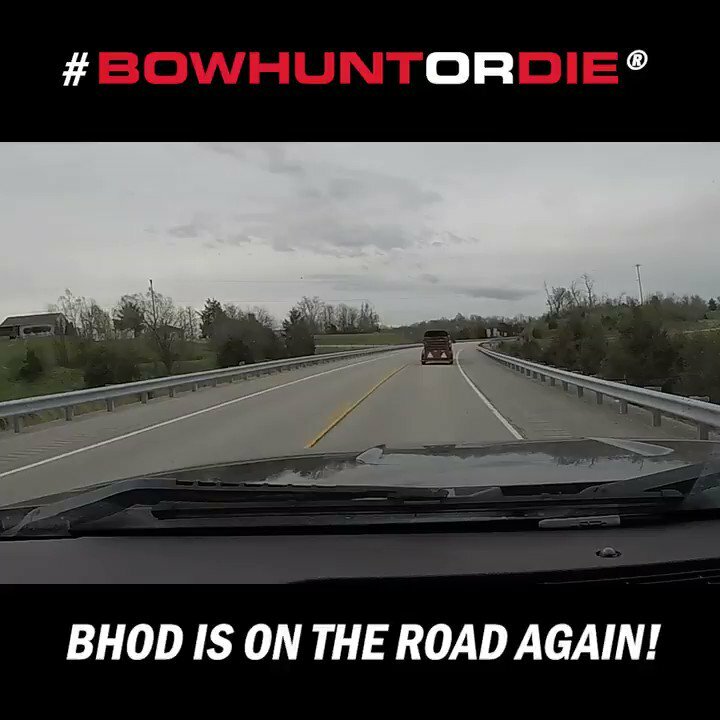 Congrats to any crossbow hunter that finds themselves arriving at this point in their bowhunting career. Got kids? Crossbow hunting may be in your future. No weapon in the woods seems to suit the youngest of kids quite like the crossbow. It works great for the child that is a little gun-shy. It’s also perfectly suited for the younger kids that aren’t strong enough to draw back a bow. It’s fairly quiet, free of recoil, and is super deadly on whitetail deer. It’s a great combination for kids that are eager to hunt long before they are able to handle a gun or bow. My boys didn’t want to miss out on the archery season when they were younger. They weren’t big enough to draw back a compound bow with enough juice for killing deer, but they still wanted to get in on the early archery season action. The first crossbow I ever laid hands on was a slick and compact little crossbow rig from Mission. The crossbow was hitting right on the money out of the box. My 7 and 9 year old boys were all over the bullseye on their first shots. I knew then this was the perfect option for getting my kids in the woods hunting deer sooner than later. Smiling ear to ear! Crossbow hunting can’t be all that bad, huh? At the end of the day, shoot what makes you happy. Don’t choose your weapon based on what you think some goofball TV host would want you to shoot. Don’t worry about what your friends think, or what may sound popular on social media. Shoot what you want to shoot. If it’s legal, let it rip! Keep it fun, and hunt with the weapon that makes your heart thump. After re-reading the crossbow article, it very insulting to the crossbower. (its factual but insulting) especially the first 2 of the 5 points. Its saying that if you wont or cant shoot your bow that you should quit the sport of bowhunting and take up the sport of crossbowing instead. While true, its insulting to the crossbower. I am a HUNTER. I use gun, compound bow, crossbow and muzzle loader. I do not label myself as a Bowhunter, Gunhunter…just plain proud HUNTER ! I shoot a Mathews bow and a Carbon Express crossbow. I feel more confident with the crossbow and owe the respect to the animal I harvest to have a more successful shot and clean harvest. I shoot longer distance, have a scope and not have to spend eight months out of the year to shoot repeatedly to be accurate. Less movement in the stand by not having to stand up when preparing to take the shot. Also less money spent out on buying accessories which becomes a black hole in the wallet of buying archery equipment for the bow. I have two main weeks in the rut to hunt and I want them two weeks to the best of my advantage I have to harvest a mature buck. Only one of those categories (3) is a valid excuse to make the crossbow your weapon of choice (in my opinion). How about “I have rifle blinds, not traditional bow blinds” (my reason) ? Maybe “I want to insure an ethical kill and don’t have the strength to pull back a bow that would match a crossbow’s power” (not the case for me) ? What about “I’d rather carry a smaller weapon throught he brush” ? I do not think there is any reason for anyone to get upset… I also do not think the author was calling hunters lazy. I think the intention was availability . I hunt both with compound and crossbow. I practice regularly but not everyone with a FT job and family can practice as much as they want to. Overall, just relax and enjoy hunting however available. Hunters need to band together as the population is dwindling. I hunt with multiple weapons and believe the old adage to each his own. As long as it is legal I am for it. As a hunter not every situation suites me or is one I necessarily believe in but if it is in the legal confines as defined by wherever or whatever you are hunting, I am for it. I know this is not exactly what the article is about but where crossbows are concerned I like the idea of getting more people involved in the outdoors. If we do not promote the sport we love,it might not be here forever. anyone who want to hunt should hunt with what ever they want its america for cry n out loud let freedom ring. Uncle Mel says ; Sadly it has taken me three years to admit that I’m going down hill, am 66, shoulders are shot, still thinking I’m as good once as I always was ! Just sold my Matthew’s Z Maxs, had it since 1997, tough bow to shoot, started when I was 11yrs. young, neighbor gave me his long bow, lots of fun, got my first recurve from a garage sale, damn, I was good with that old bow ! My buddy bought a COMPOUND BOW, he graduated and put me to shame, took me bout 3 yrs. to buy one, change is hard for some ! My son has been after me to get back in the woods this past year as I haven’t really felt confident about my Total ability . The White Tail Deer has always held a respected place in my heart and I no matter how many arrows I fling All year long, sometimes things go badly, not for me, but the life of the animal ! I’m a hunter with a total love of the sport of Being in the woods with the a quarry that’s next to none in the United States ! Got my First Crossbow Just the other day, bought a Used Wicked Ridge made by 10 Point ! I am going to the woods confident that I will be able to add a little extra ventilation to what I decide to ! Don’t judge others boys, waste of the mind and your Well Being ! BAM ! In reading these posts I am reminded of when the compound bow first came out (yes I know I am dating myself). All the recurve and longbow hunters were saying the compound was not a real bow, it was a mechanical device and should not be allowed to be used in the regular bow season. It was for lazy hunters who didn’t want to put in the time and effort to develop the skill needed to pull and shoot with accuracy the full weight of a real bow. Compound bows were for lazy hunters looking for a short cut to bow hunting, oh I don’t want to forget the big one, because the compound was so easy to use the deer harvest would go up so much that the bow seasons would be shortened. Also remember one writer saying that not all a%%%holes used compounds but all the a%%holes he encountered when bow hunting carried compounds. I also remember telling a friend that if I needed a crossbow to bow hunt I would stop deer hunting. Well that time came two seasons ago for me, and that was when I realized what a dumb thing that was to say. I am still deer hunting and happy as can be about it. As an after thought I wonder what the recurve and long bow hunters from days of old would say if they saw the modern bow hunter with the current bows and all his equipment and taking shots out to 50 and 60 yds. as seen in many of the current hunting shows.